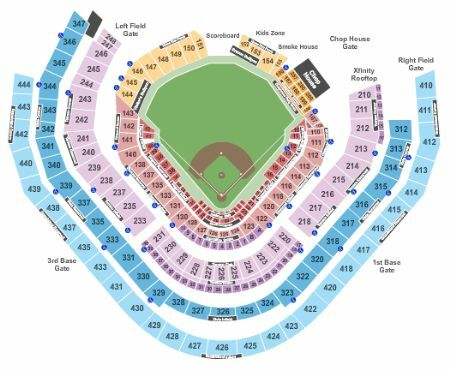 Atlanta Braves vs. St. Louis Cardinals Tickets - 5/16/2019 - SunTrust Park in Atlanta at Stub.com! Mobile Entry Tickets. Must have smart device on hand to enter event. Do not print these tickets. Mobile Entry: Scan your tickets from your mobile phone for this event. Do not print these tickets. Second row in this section. Mobile Entry: Scan your tickets from your mobile phone for this event. Do not print these tickets. Third row in this section. Mobile Entry Tickets. Must have smart device on hand to enter event. Tickets will be ready for delivery by May 12, 2019. Mobile Entry Tickets. Must have smart device on hand to enter event. Do not print these tickets. Tickets will be ready for delivery by May 13, 2019. Mobile Entry Tickets. Must have smart device on hand to enter event. XFER Mobile Entry. Scan your tickets from your mobile phone for this event. Fourth row in this section. Home teams side. Mobile Entry: Scan your tickets from your mobile phone for this event. Do not print these tickets. Mobile Entry: Scan your tickets from your mobile phone for this event. Do not print these tickets. Fifth row in this section. Mobile Entry: Scan your tickets from your mobile phone for this event. Do not print these tickets. Mobile Entry Tickets. Must have smart device on hand to enter event. Tickets will be ready for delivery by May 14, 2019. First row in this section. Mobile Entry: Scan your tickets from your mobile phone for this event. Do not print these tickets. Mobile Entry Tickets. Must have smart device on hand to enter event. Tickets will be ready for delivery by May 09, 2019. Fourth row in this section. Mobile Entry: Scan your tickets from your mobile phone for this event. Do not print these tickets. These seats are directly behind the visiting team bullpen within the first ten rows. Mobile Entry: Scan your tickets from your mobile phone for this event. Do not print these tickets. These seats are within 10 rows of the field. Fourth row in this section. Mobile Entry: Scan your tickets from your mobile phone for this event. Do not print these tickets. These seats are directly behind the home team bullpen within the first ten rows. Fifth row in this section. Mobile Entry: Scan your tickets from your mobile phone for this event. Do not print these tickets. These seats are within 10 rows of the field. XFER Mobile Entry. Scan your tickets from your mobile phone for this event. Do not print these tickets. Does not include admission to event. Mobile Entry: Scan your tickets from your mobile phone for this event. Do not print these tickets. These seats are directly behind the visiting team bullpen within the first ten rows. Third row in this section. Mobile Entry: Scan your tickets from your mobile phone for this event. Do not print these tickets. These seats are directly behind the home team bullpen within the first ten rows. Third row in this section. Mobile Entry Tickets. Must have smart device on hand to enter event. Do not print these tickets. Tickets will be ready for delivery by May 15, 2019. XFER Parking Only Mobile Transfer Only. Tickets will be ready for delivery by May 11, 2019. Tickets will be ready for delivery by May 14, 2019. MOBILEQR Does not include admission to event. Weekdays - open after 5:30pm Weekends - open 4 hours prior to first pitch. Less than 5 minute walk to the ballpark. This is a good option for fans traveling to the ballpark from the South or West. Mobile Entry: Do not print parking pass. Mobile Entry Tickets. Must have smart device on hand to enter event. Do not print these tickets. Mobile ticket: Scan your tickets from your mobile phone for this event. Do not print these tickets. First row in this section. Mobile Entry: Scan your tickets from your mobile phone for this event. Do not print these tickets. Visiting teams side. Parking Pass Only. Mobile Entry Tickets. Must have smart device on hand to enter event. Do not print these tickets. Mobile Entry Tickets. Must have smart device on hand to enter event. Do not print these tickets. Tickets will be ready for delivery by May 14, 2019. Does not include admission to event. Tickets will be ready for delivery by May 12, 2019. MOBILEQR Does not include admission to event. Weekdays - open after 5:30pm Weekends - open 4 hours prior to first pitch. Less than 5 minute walk to the ballpark. This is a good option for fans traveling to the ballpark from the North or East. Mobile Entry: Do not print parking pass. Aisle seats if entire quantity is purchased. These seats are on the aisle with purchase of the entire group. Does not include admission to event. Mobile Entry Tickets. Must have smart device on hand to enter event. Do not print these tickets. Parking Pass Only. Does not include admission to event. Parking Pass Only. Does not include admission to event. XFER Mobile Entry. Scan your tickets from your mobile phone for this event. Do not print these tickets. Does not include admission to event. XFER Mobile Entry. Must Have Smart Device on hand to enter event. Home teams side. Mobile Entry: Scan your tickets from your mobile phone for this event. Do not print these tickets. Parking Pass only, does not include admission to the event. First row in this section. Home teams side. Mobile Entry: Scan your tickets from your mobile phone for this event. Do not print these tickets. MOBILEQR Does not include admission to event. Open 3 hours before first pitch. Mobile Entry: Do not print parking pass. Home teams side. Mobile Entry: Scan your tickets from your mobile phone for this event. Do not print these tickets. Third row in this section. MobileQR Entry. Scan your tickets from your mobile phone for this event. Do not print these tickets. Mobile Entry: Scan your tickets from your mobile phone for this event. Do not print these tickets. Visiting teams side. Fourth row in this section. Mobile Entry: Scan your tickets from your mobile phone for this event. Do not print these tickets. Visiting teams side. Fourth row in this section. Mobile Entry: Scan your tickets from your mobile phone for this event. Do not print these tickets. $10 food and beverage credit included with each ticket. Includes access to Dugout Club. XFER Mobile Entry. Scan your tickets from your mobile phone for this event. Do not print these tickets. MOBILEQR Parking pass only. Does not include admission to event. XFER Mobile Entry. Scan your tickets from your mobile phone for this event. Do not print these tickets. $10 food and beverage credit included with each ticket. Includes access to Dugout Club. Mobile Entry: Scan your tickets from your mobile phone for this event. Do not print these tickets. On the baseline. Second row in this section. Visiting teams side. Valet Parking Pass Only. Does not include admission to event. Does not include admission to event. Fifth row in this section. Home teams side. Mobile Entry: Scan your tickets from your mobile phone for this event. Do not print these tickets. $10 food and beverage credit included with each ticket. Home teams side. Includes access to Dugout Club. Mobile Entry: Scan your tickets from your mobile phone for this event. Do not print these tickets. On the baseline. These seats are within 10 rows of the field. Mobile Entry: Scan your tickets from your mobile phone for this event. Do not print these tickets. Sixth row in this section. Visiting teams side. Mobile Entry: Scan your tickets from your mobile phone for this event. Do not print these tickets. Third row in this section. Visiting teams side. Home teams side. Mobile Entry: Scan your tickets from your mobile phone for this event. Do not print these tickets. Second row in this section. Mobile Entry: Scan your tickets from your mobile phone for this event. Do not print these tickets. Second row in this section. Visiting teams side. These seats are on the aisle with purchase of the entire group. Tickets will be ready for delivery by May 14, 2019. Parking Pass Only. Does not include admission to event. $10 food and beverage credit included with each ticket. Includes access to Dugout Club. Mobile Entry: Scan your tickets from your mobile phone for this event. Do not print these tickets. On the baseline. Third row in this section. Visiting teams side. $10 food and beverage credit included with each ticket. $10 food and beverage credit included with each ticket. Fourth row in this section. Includes access to Dugout Club. Mobile Entry: Scan your tickets from your mobile phone for this event. Do not print these tickets. On the baseline. These seats are within 10 rows of the field. Visiting teams side. $10 food and beverage credit included with each ticket. Fifth row in this section. Home teams side. Includes access to Dugout Club. Mobile Entry: Scan your tickets from your mobile phone for this event. Do not print these tickets. On the baseline. These seats are within 10 rows of the field. $10 food and beverage credit included with each ticket. Includes access to Dugout Club. XFER Mobile Entry. Scan your tickets from your mobile phone for this event. $10 food and beverage credit included with each ticket. Home teams side. Includes access to Dugout Club. On the baseline. Second row in this section. These seats are within 10 rows of the field. Access to the Terrace Club includes VIP entrance & fifteen dollars ($15) of food and beverage credit per ticket. This casual club environment features a signature bar, two additional full-service bars and upscale food and beverage options. In Seat Service. Mobile Entry: Scan your tickets from your mobile phone for this event. Do not print these tickets. Padded Seat. Second row in this section. $10 food and beverage credit included with each ticket. Includes access to Dugout Club. Mobile Entry: Scan your tickets from your mobile phone for this event. Do not print these tickets. These seats are located directly beside the dugout. Visiting teams side. $10 food and beverage credit included with each ticket. Home teams side. Includes access to Dugout Club. Mobile Entry: Scan your tickets from your mobile phone for this event. Do not print these tickets. On the baseline. These seats are within 10 rows of the field. Third row in this section. $10 food and beverage credit included with each ticket. Includes access to Dugout Club. Mobile Entry: Scan your tickets from your mobile phone for this event. Do not print these tickets. These seats are directly behind the home team dugout within the first ten rows. $10 food and beverage credit included with each ticket. Home teams side. Includes access to Dugout Club. Mobile Entry: Scan your tickets from your mobile phone for this event. Do not print these tickets. These seats are located directly beside the dugout. These seats are within 10 rows of the field. $10 food and beverage credit included with each ticket. Includes access to Dugout Club. Mobile Entry: Scan your tickets from your mobile phone for this event. Do not print these tickets. These seats are directly behind the visiting team dugout within the first ten rows. Third row in this section. $10 food and beverage credit included with each ticket. Fourth row in this section. Includes access to Dugout Club. Mobile Entry: Scan your tickets from your mobile phone for this event. Do not print these tickets. These seats are directly behind the home team dugout within the first ten rows. Mobile Entry Tickets. Must have smart device on hand to enter event. Do not print these tickets. Includes club access. $10 food and beverage credit included with each ticket. Includes access to Dugout Club. Mobile Entry: Scan your tickets from your mobile phone for this event. Do not print these tickets. Sixth row in this section. These seats are directly behind the visiting team dugout within the first ten rows. $10 food and beverage credit included with each ticket. Fourth row in this section. Includes access to Dugout Club. These seats are directly behind the home team dugout within the first ten rows. $10 food and beverage credit included with each ticket. Includes access to Dugout Club. These seats are directly behind the home team dugout within the first ten rows. Third row in this section. Mobile Entry Tickets. Must have smart device on hand to enter event. Do not print these tickets. Includes access to Delta Sky 360 Club. $10 food and beverage credit included with each ticket. Includes access to Dugout Club. Second row in this section. These seats are directly behind the home team dugout within the first ten rows. Access to the Delta Sky360 Club includes VIP entrance, in-seat wait service & all-inclusive food and beverage (excluding hard liquor). Access to the Delta Sky360 Club includes VIP entrance, in-seat wait service & all-inclusive food and beverage (excluding hard liquor). Mobile Entry: Scan your tickets from your mobile phone for this event. Do not print these tickets. Padded Seat. These seats are located behind the safety netting. Third row in this section. Access to the Delta Sky360 Club includes VIP entrance, in-seat wait service & all-inclusive food and beverage (excluding hard liquor). Mobile Entry: Scan your tickets from your mobile phone for this event. Do not print these tickets. Padded Seat. Second row in this section. These seats are located behind the safety netting. Delta Sky360 seats include All-Inclusive Gourmet Buffet featuring Draft Beer, House Wine & Soda, Complimentary In-Seat Food and Beverage Service & Access to the Delta Sky360 Club. Mobile Entry Tickets. Must have smart device on hand to enter event. Do not print these tickets. VIP Area/Club/Lounge access included. Access to the Delta Sky360 Club includes VIP entrance, in-seat wait service & all-inclusive food and beverage (excluding hard liquor). First row in this section. Mobile Entry: Scan your tickets from your mobile phone for this event. Do not print these tickets. Padded Seat. These seats are located behind the safety netting. Access to the Delta Sky360 Club includes VIP entrance, in-seat wait service & all-inclusive food and beverage (excluding hard liquor). Mobile Entry: Scan your tickets from your mobile phone for this event. Do not print these tickets. Padded Seat. Second row in this section. These seats are located behind home plate between the dugouts within the first ten rows. These seats are located behind the safety netting. Access to the Delta Sky360 Club includes VIP entrance, in-seat wait service & all-inclusive food and beverage (excluding hard liquor). First row in this section. Mobile Entry: Scan your tickets from your mobile phone for this event. Do not print these tickets. Padded Seat. These seats are located behind home plate between the dugouts within the first ten rows. These seats are located behind the safety netting. Braves Pregame Experience Package includes a Dugout Infield game ticket in sections 16 thru 35 (orders of three or more may be split) | Exclusive pregame behind-the-scenes ballpark tour, personalized LED Scoreboard message and access to watch team batting practice from the field (weather permitting and at discretion of managers) | $25 food/beverage credit included with each ticket | Collectible Atlanta Braves memorabilia item (1 per person) | Parking pass (1 per order) | Ticket upgrades obtainable upon request |. Standard Hotel Package includes 2 nights at a 4-Star property near the venue (check-in day before game, check-out day after game) | Game ticket in Dugout Infield sections 16 thru 35 (orders of three or more may be split) | $25 food/beverage credit included with each ticket | MLB merchandise of your choosing valued at $50 per person redeemable online only | Ticket upgrades - additional hotel nights or specific days may be obtainable upon request | Rate is based on double occupancy | Orders for a quantity of one are subject to an additional charge |. Deluxe Hotel Package includes 2 nights at a 4-Star property near the venue (check-in day before game, check-out day after game) | Roundtrip airport transfers | Game ticket with VIP amenities in Executive Seat sections 122 thru 130 featuring access to the exclusive Delta Sky360 Club with all-inclusive food, beer and wine, in-seat service, wide padded seats and more (orders of three or more may be split) | $25 food/beverage credit included with each ticket | MLB merchandise of your choosing valued at $50 per person redeemable online only | Ticket upgrades - additional hotel nights or specific days may be obtainable upon request | Rate is based on double occupancy | Orders for a quantity of one are subject to an additional charge |.